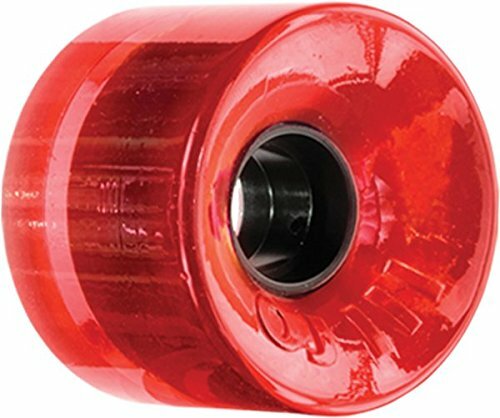 OJ Wheels III Hot Juice Trans Red Longboard Wheels - 60mm 78a (Set of 4) by OJ Wheels at Tar Wheels Skate Way. MPN: 1WOJW0HOJU060CR. Hurry! Limited time offer. Offer valid only while supplies last. For the ultimate longboard adventure, you need the ultimate wheels! These OJ Wheels wheels are it. Cruise at top speeds with a totally smooth ride. For the ultimate longboard adventure, you need the ultimate wheels! These OJ Wheels wheels are it. Cruise at top speeds with a totally smooth ride. Made from high-quality materials and built to last, they measure 60mm in diameter, 78a in hardness. OJ Wheels Hot Juice Longboard Skateboard Wheels are sold in (1) set of four (4) wheels.Note: Bearings not included. If you have any questions about this product by OJ Wheels, contact us by completing and submitting the form below. If you are looking for a specif part number, please include it with your message.